The EUS-guided biliary drainage is a new tool for the palliation of distal obstructive biliary lesions. The EUS-guided access, which creates a fistulization between the duodenal bulb and distal common biliary duct, is an effective method to relieve jaundice and has low morbidity and mortality, in patients with distal biliary obstruction (pancreatic mass or papillary cβncer). This technique is called choledochoduodenostomy and is presented promptly in this article. The EUS-guided biliary drainage should be made within protocol conditions and done by very experienced endosonographers. Endoscopic ultrasound (EUS) is a reference technique for diagnosing and staging several different diseases. EUS-guided biopsies and fine needle aspirations are used to improve diagnostic performance of cases where a definitive diagnosis cannot be obtained through conventional EUS. However, EUS-guided tissue sampling requires experience and is associated with a low but not negligible risk of complications. 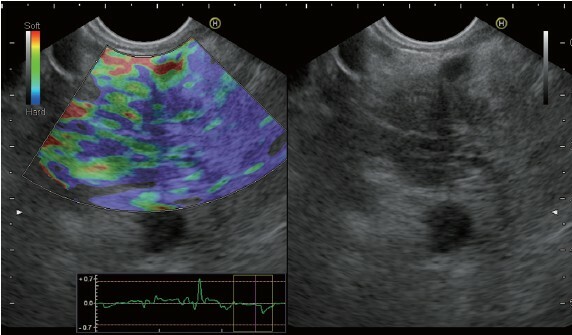 EUS elastography is a non-invasive method that can be used in combination with conventional EUS and has the potential for improving the diagnostic accuracy and reducing the need for EUS-guided tissue sampling in several situations. Elastography measures tissue stiffness by evaluating changes in the EUS image before and after the application of slight pressure to the target tissue by the ultrasonography probe. Pathologic processes such as cancerization and fibrosis alter tissue elasticity and therefore induce changes in elastographic appearance. Qualitative elastography depicts tissue stiffness using different colors, whereas quantitative elastography renders numerical results expressed as a strain ratio or hue histogram mean. 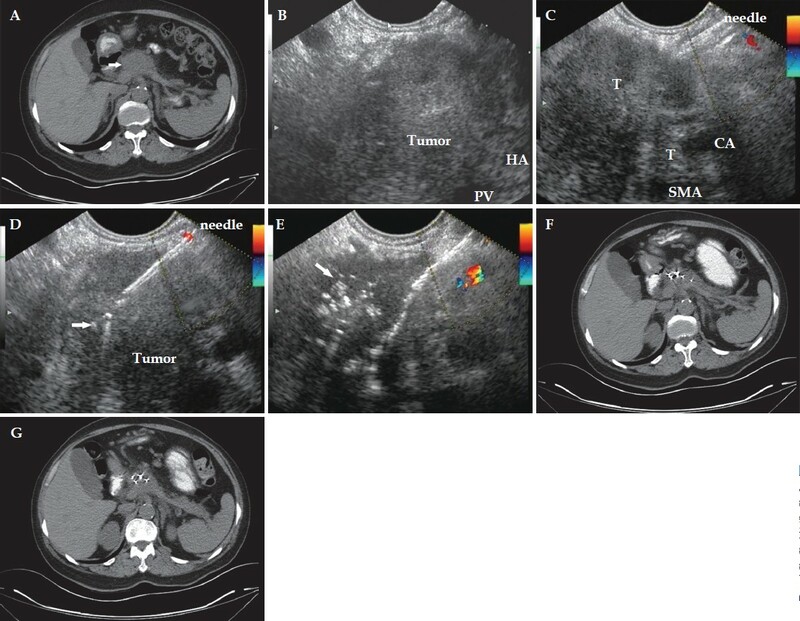 EUS elastography has been proven to differentiate between benign and malignant solid pancreatic masses, as well as between benign and malignant lymph nodes with a high accuracy. Studies have also demonstrated that the early changes of chronic pancreatitis can be distinguished from normal pancreatic tissues under EUS elastography. In this article, we review the technical aspects and current clinical applications of qualitative and quantitative EUS elastography and emphasize the potential additional indications that need to be evaluated in future clinical studies. Accurate diagnosis and subtyping of lymphoma have important prognostic implications and are generally required for treat­ment planning. Histological assessment, immunophenotyping, and genetic studies are usually necessary. Endoscopic ultra­sound guided-fine needle aspiration cytology (EUS-FNAC) is a minimally invasive technique widely used for the evaluation of deep-seated benign and malignant lesions. However, the value of cytological samples in lymphoma diagnosis is still a matter of debate. Endoscopic ultrasound guided-fine needle biopsy (EUS-FNAB) can provide tissue core samples that may help overcome the limitations of cytology. The aim of this review is to summarize the available literature regarding EUS-FNAC and EUS-FNAB for the diagnosis and subtyping of lymphoma. In addition, we discuss its usefulness in the management of primary extra-nodal lymphomas, as well as technical issues that may influence sample quality. Endoscopic biliary stenting for malignant biliary obstruction is currently the gold standard for biliary drainage. Biliary cancer treatment is crucial. Cases of gastric outlet obstruction that includes the duodenum because of cancer invasion and biliary obstruction are seldom observed. 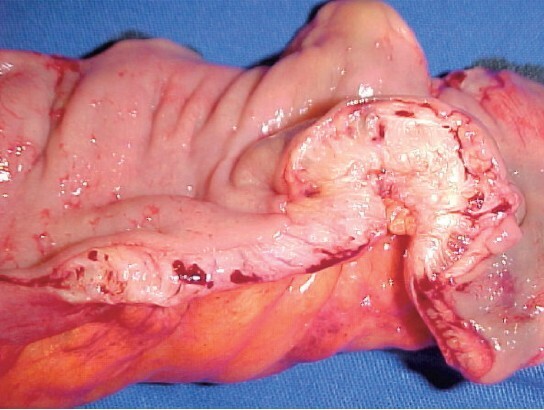 The required treatment for such cases is simple biliary stenting and a different treatment for duodenal obstruction. Hence, double stenting for bile duct and duodenal obstruction has drawn attention. In the present review, we state different treatment strategies for malignant duodenal obstruction and then describe double stenting in biliary obstruction that also includes non-biliary cancer malignant lesions and duodenal obstruction. Background and aims: Both interstitial brachytherapy and interstitial chemotherapy are effective in improving local control in patients with local UICC-T4 pancreatic cancer. In this study, we report the results of endoscopic ultrasound (EUS)-guided interstitial chemoradiation (EUS-ICR) in patients with advanced pancreatic cancer, with respect to tumor response, clinical response, safety, and complications. Patients and methods: A total of 8 patients (3 men, 5 women; median age of 69) with T4 pancreatic adenocarcinoma were the subjects of this study. A mean of 18 radioactive seeds and 36 intratumoral implants for sustained delivery of 5-fluorouracil in each patient were implanted into the tumors using EUS-guided needle puncture. The mean total implanted radioactive activity was 13.68 mCi, the mean total dose of intratumoral 5-fluorouracil was 3.6 g, and the mean volume of implants was 28 cm3. The conditions of the patients were followed-up by examination and imaging tests every two months. Clinical endpoints included the Karnofsky performance status, pain response, tumor response (assessed by computed tomography and/or EUS), and survival. Results: During a median follow-up period of 8.3 months, the objective tumor response was classified as 'partial' in 1 of 8 patients (with a median duration of partial response of 3 months), 'minimal' in 2 patients, and indicative of 'stable disease, in 3 of 8 patients. Clinical benefit was shown in 4 of 8 patients, which was mostly due to pain reduction, and lasted for 3.5 months. No local complications or hematologic toxicity occurred. Conclusions: EUS-ICR had a moderate local anti-tumor effect, showed some clinical benefits in 4 of the 8 patients, and was well tolerated by all the patients in this study. Background: Mucinous cysts are lesions with malignant potential. Their management is stil difficult. Ethanol lavage under EUS can be used and could be a good alternative treatment. We report a bi-center experience of ethanol lavage in mucinous cysts of the pancreas. 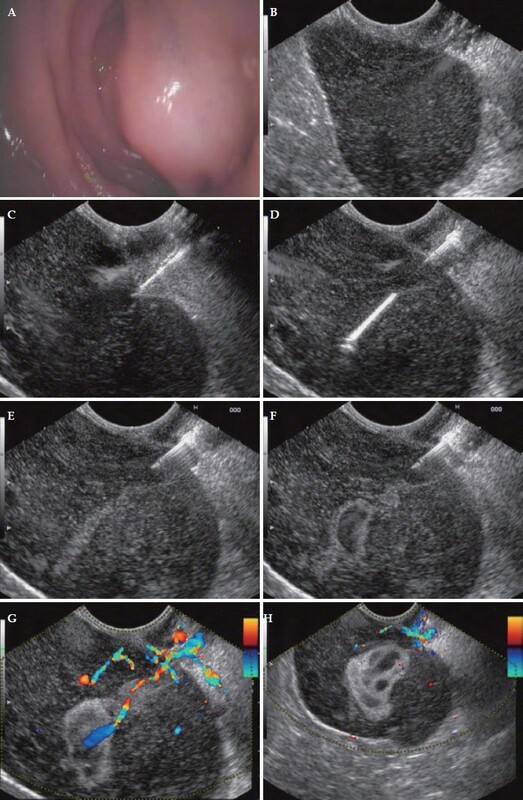 Patients and methods: A total of 13 patients in 2 tertiary centers (7 men, 6 women, mean age=68.5 years) underwent ethanol lavage for mucinous cysts under endoscopic ultrasound (EUS) from 2001 to 2010. One of the patients had 2 cysts treated dur­ing the same procedure. One patient underwent a second procedure of ethanol lavage. Mucinous cyst diagnosis required: (1) EUS showing cystic lesion without nodule and without communication with pancreatic branch duct. Six cysts were located in the isthmus of the pancreas, 3 in the head, 3 in the body, and 2 in the tail. The mean size was 24 mm (11-50); and (2) Intra-cystic ACE level >400 UI/l and/or histologic proof. Diagnosis of mucinous cyst was obtained using ACE levels in 5 cases, histology in 8 cases, and both in 1 case. Results: No complication was reported. Complete responses were observed in 11 cases (85%), with no responses in 2 cases (15%). Mean follow-up was 26 months (4-118 months). Contact was lost with 1 patient. No recurrence was noticed in patients with complete responses. Conclusion: This study confirms the feasibility and effectiveness of a loco-regional treatment under EUS for pancreatic cysts. The good ratio of response is probably explained by the lack of septa and the small size of the cysts. The follow-up is still short and needs to be increased. Nethertheless loco-regional treatment of pancreatic cysts lesions under EUS should form a part of the management of pancreatic lesions. We report a case of cardiac rhabdomyosarcoma, with initial clinical features of atrial rhythmic dysfunction which was concluded as a mediastinal tumor by computed tomography (CT) scan. Endoscopic ultrasonography (EUS) and EUS - FNA (fine needle aspiration) were initially conducted to diagnose the isolated mediastinal mass. 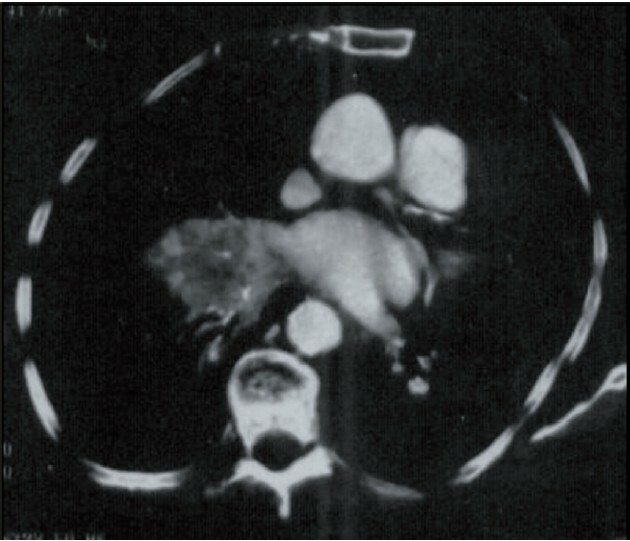 In this case, EUS re-assessed the previous diagnosis as a cardiac tumor, and the patient eventually achieved a 17- month survival rate after chemotherapy. In this paper, EUS findings obtained in our case are described and a review of literatures is briefly discussed. We also describe the advantages and limitations of this technique compared with other image diagnosis alternatives.